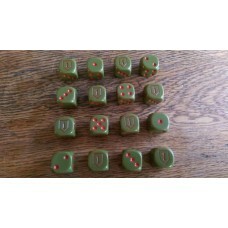 A Set of 16 - WW2 Dice - Generic US Armoured Division Dice (16mm). 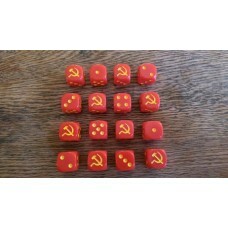 These c..
A Set of 16 - Nationalist China Kuomintang Dice (16mm). 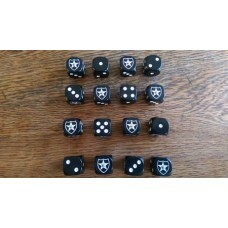 These custom desig..
A Set of 16 - Polish 10th Motorised "Black" Brigade Dice (16mm). 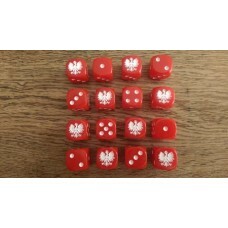 These cus..
A Set of 16 - Polish Eagle Dice (16mm). 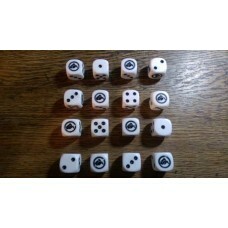 These custom designed dice have a ..
A Set of 16 - US 101st Airborne "Screaming Eagles" Dice (16mm). 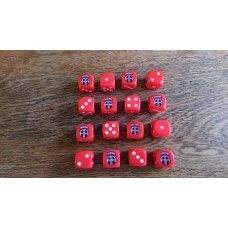 These cust..
A Set of 16 - WW2 Dice - US 1st Infantry Division "Big Red 1" Dice (16mm). ..
A Set of 16 - WW2 Dice - US 2nd Infantry Division "Indian Head" Dice (16mm)..
A Set of 16 - US 82nd Airborne "All American" Dice (16mm). 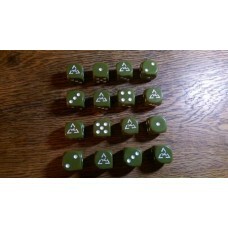 These custom de..
A Set of 16 - US Army Rangers Dice (16mm). These custom designed dice have..
A Set of 16 - US Marine Corps Globe and Anchor Dice (16mm). 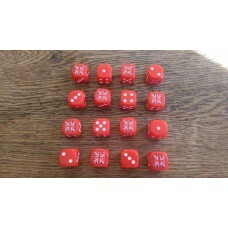 These custom d..
A Set of 16 - British Union Jack Dice (16mm). These custom designed dice..